This is the first in a series of articles about some of the films scheduled for this year’s Socially Relevant Film Festival that I have been covering since its inception in 2014. This year I am proud to be on its Documentary award jury. I must admit, however, that my tendency would be to give a blue ribbon to everybody whose film is being shown in SR 2016 since making such films as an alternative to much of the junk receiving an Oscar tomorrow night is to be celebrated in and of itself. As the founder of the SR film festivals, Nora Armani is blessed with an uncommon ability to curate some of the most important films being made today. As I have made clear in my survey of SR 2014 and SR 2015, these are films that are focused on the real problems of ordinary people and a welcome alternative to Cineplex escapism. It is not just that films about refugees or oppressed nationalities demand your attention as thinking and caring adults; it is that they are intensely dramatic as the struggles of refugees and the victims of national oppression tend to be. These are issues obviously very close to Nora Armani’s heart given her Armenian ancestry. Indeed, she resolved to create such an annual film festival to honor two relatives that were killed by religious fanatics in Egypt. Given my strong identification with her artistic and social mission, I thought it would be appropriate to start off with two films about the Armenian genocide that were made a full century after it occurred. After watching them, it dawned on me that they are not just about a terrible crime committed against an innocent people. They also help to shed light on the phenomenon of ethnic cleansing that is tearing apart the social fabric of the Middle East and Anatolia today just as it did a century ago and for the same reason: to create a “pure” nation-state in whose name the elites can protect their own narrow class interests using the kind of demagogy that Hitler made infamous. Co-directed by the Egyptians Mohamed Hanafy Nasr and Myriam Zaki, “Who Killed the Armenians?” may be the definitive answer to people like Turkey’s President Recep Tayyip Erdoğan who is seen several times in the film denying that a genocide took place. While well-known for his imperious manner, to hear him shrugging off the possibility that Turkey was responsible for the mass murder of women and children is enough to make your blood boil—especially in light of the pervasive visual evidence deployed by the directors through vintage photographs and newsreels. If the film sufficed to make the historical record that a genocide took place, this would be reason enough to single it out for having exceptional value. But there is more to it than that. The film has an ability to put the mass murder into an historical context that will allow thoughtful people to fully understand how and why it took place. Speaking as someone who was anxious to find out why Hitler killed the Jews when I was a young member of the Trotskyist movement in 1967, I was fortunate to have someone recommend Abram Leon’s “The Jewish Question”. This book, written by a young Belgian-Jewish socialist who died in Auschwitz, explained how Jews became scapegoats in a German economy that was torn apart in the 1920s as a result of being on the losing side in WWI. As it turns out, while not quite an exact analogy, the Armenians suffered the same fate when the Ottomans were suffering a similar military disaster. We learn from the film that Germany saw Turkey as the ideal ally in a war with the British and the French since their extensive colonial holdings in Muslim countries could serve Germany’s propaganda goals. The German war was hailed by venal Ottoman religious officials as a jihad to liberate Muslims. So as should be obvious, religious obscurantism on behalf of imperialist war was not a recent invention. The image of the Ottomans as being relatively tolerant toward the peoples who came under their rule as argued in books such as Mark Mazower’s “Salonika: City of Ghosts” does not quite hold up when it comes to the Armenians. Since the film relies heavily on the testimony of many credible scholarly figures, you will be persuaded–as I was–that long before the genocide there were signs that the Armenians were a persecuted people. For instance, the Hamidian massacres took place in the 1890s with as many as 300,000 fatalities. Since historians tie them to military defeats at the hands of the Russians in the 1877-1878 war and growing financial decline, you can understand why they would reoccur again with even greater ferocity in 1915 when the loss of Ottoman territory and economic collapse was far more advanced. The documentary also explores the role of the Young Turks in whose hands the blood of the genocide became a permanent stain. It turns out that there were two factions in their party, the so-called Committee of Union and Progress, the “federalizers” who were open to Armenian rights in a democratic republic and the “centralists” who obviously were victorious in the political struggle. Indeed, the Young Turks were ultimately led by the most extreme centralists who were ready to implement the final solution as one centralizing official put it. Once they were done, the only Armenian left in Turkey could only be seen in a museum. Some years back I read a book by Arno Mayer titled “Why the Heavens did not Darken” that explained the Judeocide (a word he preferred to holocaust) in terms of Hitler’s debacle on the Eastern front. When it began to become obvious to him that the war was lost, he made the decision to exterminate the Jews. In late 1914 and early 1915, the Ottomans suffered a major military defeat in the battle of Sarikamish that one historian interviewee judged to have cost the lives of 80,000 Turkish troops. Like the Nazis in their invasion of the USSR, the Turks were not prepared for wintery conditions in the mountains bordering Russia. Like Hitler, Enver Pasha—the head of the Young Turks in 1908 and the Ottoman army in WWI–needed a scapegoat to blame the disaster on. He found them in the Armenians. And also like Hitler, Enver Pasha and other top military officials did everything they could to cover their tracks. They destroyed all sorts of paper records even though the evidence of dead bodies covering the eastern Anatolian landscape spoke for themselves. After my arrival at Aleppo, and two days’ stay there, we took the train to a place called Ser-Arab-Pounâri. I was accompanied by five Armenians, closely guarded, and despatched to Diarbekir. We walked on our feet thence to Serûj, where we stopped at a khân [rest-house] filled with Armenian women and children, with a few sick men. These women were in a deplorable state, as they had done the journey from Erzeroum on foot, taking a long while to arrive at Serûj. I talked with them in Turkish, and they told me that the gendarmes with them had brought them to places where there was no water, refusing to tell them where water was to be found until they had received money as the price. In a real sense, the genocide against the Armenians that El-Ghusein was describing lives on in places like Aleppo and Diarbekir. While not going to the same lengths as Enver Pasha, Bashar al-Assad has used the weapons of famine against people in places like Aleppo and Yarmouk. His goal is a “purified” Syria that will exist along the more heavily populated Western coastline along the Mediterranean. In order to create such a state, it will be necessary to ethnically cleanse all Sunnis who are not ready to accept hunger, torture and murder as the cost of Syrian citizenship. Let them go to Europe where their meager savings can be expropriated by the Aryans of Denmark and other “pure” societies. While locked in a bitter struggle with al-Assad, Recep Tayyip Erdoğan is ready for an all-out bloody war against the Kurds in places like Diarbekir. While elected on a nominally pro-diversity program, the declining state of the Turkish economy prompted him to rally the people around the flag just as has been the case in so many barbarous wars of the 20th and 21st century. When stopping to consider alternatives to a new Dark Ages, we start with people like Faiz El-Ghusein and the directors of this must-see documentary, as well as the historians they interviewed. Among them are good Turks like Uğur Ümit Üngör who teaches history and sociology in the Netherlands and is the author of “Confiscation and Destruction: The Young Turk Seizure of Armenian Property” and “The making of modern Turkey. Nation and State in Eastern Anatolia, 1913-1950”. “Turkey Has Acknowledged the Armenian Genocide” is Ugur Üngör article in The Armenian Weekly ( April 27, 2012…Yes, the Turkish state’s official policy towards the Armenian Genocide was and is indeed characterized by the “three M’s”: misrepresentation, mystification, and manipulation. But when one gauges what place the genocide occupies in the social memory of Turkish society, even after nearly a century, a different picture emerges. Even though most direct eyewitnesses to the crime have passed away, oral history interviews yield important insights. Elderly Turks and Kurds in eastern Turkey often hold vivid memories from family members or fellow villagers who witnessed or participated in the genocide. There is a clash between official state memory and popular social memory: The Turkish government is denying a genocide that its own population remembers. To enlist in the ongoing battle against the “three M’s”, I strongly recommend seeing “Who Killed the Armenians?” at Bowtie Cinema, 6pm on Saturday the 19th of March. Full schedule information is here: http://www.ratedsrfilms.org/. As the title indicates, “100 Years Later” is a documentary memorializing the genocide by John Lubbock, a filmmaker, journalist and former staff member of the Bahrain Center for Human Rights. The 55-minute film follows Armenian scholar and activist Ara Sarafian as he leads a tour in eastern Anatolia for Armenians living in the USA and elsewhere. He wants them to bear witness to remnants of Armenian society, including a church that Kurds now use as a feed storage bin for farm animals. Sarafian wryly observes that it is probably a good thing that it served that purpose otherwise it might have been blown up long ago. I could not help but think of the parallels with Palestinians who might be organized to go on a similar tour of land they lost in the 1948 Nabka, another exercise in ethnic cleansing that sought to “purify” a state. Throughout the film, Sarafian strikes an optimistic pose even though Recep Tayyip Erdoğan’s witless comments alluded to above make me question whether reconciliation with such a man is possible, especially in light of observations made by analysts who see him aspiring to be a new Sultan presiding over a neo-Ottoman empire. When I used to go on tours of Nicaragua on buses just like those used in “100 Years Later”, we used to explain to workers and peasants we spoke to that it was not Americans who wanted to destroy their country, only the government. In a way, the same distinction might be made about the Turks who despite the dominance of ultra-nationalist politics going back a hundred years still manage to see things clearly, at least my wife’s relatives in Istanbul and Izmir who see Erdogan in the same manner we see Donald Trump. I recommend “100 Years Later” that can be seen at 2pm on Saturday March 19th, once again at Bowtie Cinema. And also, once again, check http://www.ratedsrfilms.org/ for full Schedule information. When I walked into my Elementary Turkish class last Friday, no one was dressed in all black. There were no flowers, and no one was crying. Instead, there was birthday cake and a bottle of Sprite and cheerful echoes of Nasılsın? Iyiyim, teşekkürler. Death had slipped unnoticed into our tiny classroom—we just didn’t know it yet. When Meriç, our TF, told us that she had learned of Etem’s whereabouts, I expected a story of how the fishing that week was too good for him to pass up, or of how Alpha Delta Pizza had needed a line cook on short notice, and, knowing that we would be alright without him for a few days, Etem had volunteered. I pictured him grilling freshly-caught sea bass or enjoying a full Turkish breakfast at home, complete with honeyed kaymak spread and spicy, cured pastırma. I wondered if he was chortling his full-belly laugh and playing backgammon with his friends. But when Meriç started to cry, we slowly lowered our half-raised forks of double fudge supermarket cake and tried to believe what she was saying: that Etem Erol, our Etem Erol, would not return to us, would not fish again, would never down another peach-flavored shot of rakı. A heavy, tired silence draped itself over everyone. We could barely move ourselves to swallow our cake and continue reviewing prepositions. Etem has only been gone for a week, and already I feel him slipping away, piece by piece, until all that’s left of him is what we hold onto for safekeeping. Few among us will even care. And I don’t hold onto pretensions of special closeness with Etem; he was my professor, and I liked and respected him. I call him Etem only because he asked us to. But I don’t want to forget him. Not now and not ever. In fact, I’m afraid to forget him—if I do, what will that say about me? What will that say about our world and the place of death in our consciousness? Most of all, I’m afraid that I’m going to learn a cold truth: that these days, there is no space for death of the everyday, individual variety. We have no place for it anymore. For most of the first semester of elementary Turkish I just completed, I felt like I was barely treading water and in over my head. Learning a new language at the age of 61 is tough enough as it is, but studying it at an Ivy League institution like Columbia University is even more daunting. Twice I came this close (picture a thumb 1/8th of an inch away from a forefinger) from dropping it, but just received my grade: an A-! Learning a language in some ways is like rehearsing for a play. You have to memorize your lines. In my final exam, I remembered most of the words I was expected to use in an essay question about a father taking his daughter to the playground (a sandbox is a ‘kum havuzu’; a pail and shovel are ‘kova’ and ‘kurek’), but drew a blank when I tried to remember how to say ‘for 3 days’ (uc gundur). My main problem is that my brain doesn’t work the way it did when I was the age of my classmates. It used to be like a camera, now it is like a sieve. Five days after I learn how to use a verb ending, the memory becomes faded. Oddly enough, the Spanish I learned in high school 46 years ago adheres better. Despite the difficulties and despite my deep aversion to taking tests and being graded, I have found learning Turkish to be a deeply rewarding experience. Being finally able to converse with my wife’s friends and relatives in Istanbul and Izmir would make my trips there much more pleasurable. Since we would eventually like to have a summer place in Izmir, this makes learning the language a necessity. Perhaps the main reason I stuck with the class was the teacher Etem Erol, who is without doubt one of the finest I have studied with ever. Erol brings an enormous amount of patience, enthusiasm and good humor to the subject that shows up even when the class is going through the most tedious of drills. Additionally, he is passionate about Turkish culture and history and leavens each class with comments about a wide range of topics, from the Kurdish question to Turkish cuisine. It is impossible to imagine a more qualified and more dedicated professor. Does Donald Trump pose a fascist threat? Juan Cole’s article titled “How the US went Fascist: Mass media Makes excuses for Trump Voters” reminded me that I wanted to say something about all this. It is not the first time I’ve run into a massive amount of warnings about a new Hitler or Mussolini running for President on the Republican Party ticket. Of course, with so many memes identifying Trump with Il Duce on the basis of his scowls and demagoguery, the temptation to make such an identification is irresistible especially if you are unfamiliar with historical materialism. In Turin and Milan, factory councils – which the leading Italian Marxist theoretician Antonio Gramsci considered to be the Italian equivalent of Russia’s soviets – were formed and many factory occupations took place under the leadership of revolutionary socialists and anarcho-syndicalists. The agitations also extended to the agricultural areas of the Padan plain and were accompanied by peasant strikes, rural unrests and armed conflicts between left-wing and right-wing militias. Industrial action and rural unrest increased significantly: there were 1,663 industrial strikes in 1919, compared to 810 in 1913. More than one million industrial workers were involved in 1919, three times the 1913 figure. The trend continued in 1920, which saw 1,881 industrial strikes. Rural strikes also increased substantially, from 97 in 1913 to 189 by 1920, with over a million peasants taking action. On July 20-21, 1919, a general strike was called in solidarity with the Russian Revolution. Comrades, I don’t know how to put this exactly but similarities between Italy in 1919 and the USA in 2016 are less than zero. What insurgencies are a Trump-style fascism supposed to overcome? Black Lives Matter? The Chicago Teachers Union? Kshama Sawant? The good news is that fascism is not on the agenda because the movements of the working class and other oppressed sectors are so weak. Meanwhile the bad news is that the movements of the working class and other oppressed sectors are so weak. “Buchanan is not primarily out to win votes, nor was he four years ago. He has set out to build a cadre of those committed to his program and willing to act in the streets to carry it out. He dubs his supporters the ‘Buchanan Brigades’…. “Commenting on the tone of a recent speech Buchanan gave to the New Hampshire legislature, Republican state representative Julie Brown, said, ‘It’s just mean – like a little Mussolini.’…. These quotations tend to speak for a rather wide-spread analysis of Buchanan that a majority of the left supports, including my comrades on this list. 1) We are in a period of quiescence, not class confrontation. Comrades, this is the good news and the bad news. It is good news because there is no threat of a fascist movement coming to power. It is bad news because it reflects how depoliticized the US working-class remains. There is no fascist movement in the United States of any size or significance. It is time to stop talking about the militias of Montana. Let us speak instead of New York, Los Angeles, Chicago, San Francisco, etc. Has there been any growth of fascism? Of course not. In New York, my home town, there is no equivalent of the German- American bund, the fascists of the 1930s who had a base on New York’s upper east side, my neighborhood. There are no attacks on socialist or trade union meetings. There are not even attacks on movements of allies of the working-class. The women’s movement, the black movement, the Central American movement organize peacefully and without interference for the simple reason that there are no violent gangs to subdue them. The reason there are no violent gangs of fascists is the same as it was in the 1950s. We are not in a period of general social crisis. There are no frenzied elements of the petty-bourgeoisie or the lumpen proletariat being drawn into motion by demagogic and charismatic leaders like Mussolini or Hitler. There are no Silver Shirts that the labor or socialist movement needs protection from. There is another key difference from the 1930s that we must consider. Capital and labor battled over the rights of labor within the prevailing factory system. Capitalism has transformed that factory system. Workers who remain in basic industry are not fighting for union representation. They simply want to keep their jobs. Those who remain employed will not tend to enter into confrontations with capital as long as wages and benefits retain a modicum of acceptability. That is the main reason industrial workers tend to be quiescent and will remain so for some time to come. In the 1930s, workers occupied huge factories and battled the bosses over the right to a union. The bosses wanted to keep these factories open and strikes tended to take on a militant character in these showdowns. Strike actions tended to draw the working-class together and make it easier for socialists to get a hearing. This was because strikes were much more like mass actions and gave workers a sense of their power. The logical next step, according to the socialists, was trade union activity on a political level and, ultimately, rule by the workers themselves. The brunt of the attack today has been downsizing and runaway capital. This means that working people have a fear of being unemployed more than anything else. This fear grips the nation. When a worker loses a job today, he or she tends to look for personal solutions: a move to another city, signing up for computer programming classes, etc. Michael Moore’s “Roger and Me” vividly illustrated this type of personal approach Every unemployed auto worker in this film was trying to figure out a way to solve their problems on their own. In the face of the atomization of the US working class, it is no surprise that many workers seem to vote for Buchanan. He offers them a variant on the personal solution. A worker may say to himself or herself, “Ah, this Buchanan’s a racist bigot, but he’s the only one who seems to care about what’s happening to me. I’ll take a gamble and give him my vote.” Voting is not politics. It is the opposite of politics. It is the capitalist system’s mechanism for preventing political action. 2) Buchanan is a bourgeois politician. Pat Buchanan represents the thinking of an element of the US ruling class, and views the problems of the United States from within that perspective. Buchanan’s nationalism relates very closely to the nationalism of Ross Perot, another ruling class politician. A consensus exists among the ruling class that US capital must take a global route. The capitalist state must eliminate trade barriers and capital must flow to where there is greatest possibility for profit. Buchanan articulates the resentments of a section of the bourgeoisie that wants to resist this consensus. It would be an interesting project to discover where Buchanan gets his money. This would be a more useful of one’s time than comparing his speeches to Father Coughlin or Benito Mussolini’s. There are no parties in the United States in the European sense. In Europe, where there is a parliamentary system, people speak for clearly defined programs and are responsible to clearly defined constituencies. In the United States, politics revolves around “winner take all” campaigns. This tends to put a spotlight on presidential elections and magnify the statements of candidates all out of proportion. Today we have minute textual analysis of what Buchanan is saying. His words take on a heightened, almost ultra-real quality. Since he is in a horse race, the press tends to worry over each and every inflammatory statement he makes. This tends to give his campaign a more threatening quality than is supported by the current state of class relations in the United States. 3) The way to fight Buchanan is by developing a class alternative. The left needs a candidate who is as effective as Buchanan in drawing class lines. The left has not been able to present an alternative to Buchanan. It has been making the same kinds of mistakes that hampered the German left in the 1920s: ultraleft sectarianism and opportunism. Our “Marxist-Leninist” groups, all 119 of them, offer themselves individually as the answer to Pat Buchanan. Meanwhile, social democrats and left-liberals at the Nation magazine and elsewhere are preparing all the reasons one can think of to vote for the “lesser evil”. What the left needs to do is coalesce around a class-based, militant program. The left has not yet written this program, despite many assurances to the contrary we can hear on this list every day. It will have to be in the language of the American people, not in Marxist- Leninist jargon. Some people know how speak effectively to working people. I include Michael Moore the film-maker. I also include people like our own Doug Henwood, and Alex Cockburn and his co-editor Ken Silverstein who put out a newsletter called “Counterpunch”. Most of all, the model we need is like Eugene V. Debs and the Socialist Party of the turn of the century, minus the right-wing. Study the speeches of Debs and you get an idea of the kind of language we need to speak. Our mission today remains the same as it was in turn of the century Russia: to build a socialist party where none exists. The Committee for a Worker’s International is the aspiring Trotskyist Fourth International led by Peter Taaffe. It was one of two major groups that emerged out of Ted Grant’s Militant Tendency that had a long-term entryist presence in the British Labour Party; the other tendency is called the International Marxist Tendency and is led by Alan Woods. The CWI’s section in the USA is called Socialist Alternative and is notable for party member Kshama Sawant being elected to the Seattle City Council. Stephen Jolly, the Socialist Party candidate for Richmond, is a high profile activist with electoral runs on the board. He came to prominence with the campaign to reopen Richmond Secondary College in the early 1990s, and has been on the frontlines of many campaigns in Melbourne’s inner north since, including recent efforts to stop the East West Link and to defend public housing. He was first elected to Yarra Council in 2004 with a 12% vote in his ward, and his record as a councillor fighting for working people is reflected in votes of 29% in 2008 and 34% in 2012. He received more than 9% in Richmond at the 2010 state elections. His campaign is highly visible throughout the electorate, with numerous posters declaring the campaign slogan of “put a fighter into parliament”, “stop the East West toll road tunnel”, “cap public and private housing rents”, “plan our city for residents not developers, “free and frequent public transport”, and “protect our live music and arts culture”. It is of course worth noting that this is pretty much a repeat of what happened to the British SWP in 2014. Does such a reoccurrence reflect a structural flaw in such “vanguard” formations? Very likely so. With so much authority vested in the top cadre that implicitly serves as the avatar of Lenin and Trotsky, there is a tendency to look the other way when cases like this develop. Keep in mind that Gerry Healy, who was the leader of the largest Trotskyist group in Britain, was expelled for preying sexually on young female members of his sect. As most people probably understand, political analysis about a particular government leader is often largely driven by where they stand in the geopolitical chess game—most of all by the grandmasters who play it, namely the “anti-imperialist” left that is as single-minded ideologically as earlier generations of Kremlin apologists if not more so. 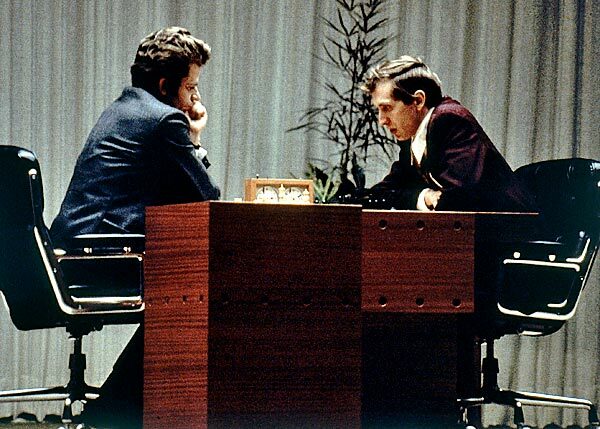 In my experience, Stansfield Smith is the Boris Spassky of this milieu. The tops at awfulness with no competition on the horizon. Back when he was on Marxmail, he never posted anything except talking points in line with the Pepe Escobar/Mike Whitney/Eric Draitser Chessintern. To belong to the Chessintern, you have to master a few basic openings such as the need to defend every foreign policy initiative of the Kremlin or China and then to smear anybody who ends up on the other side of the chessboard as tools of the CIA or the NED. The same divisions exist in Ecuador today with indigenous people continuing to feel vitimized, especially when it comes to the exploration for oil in their territories. If you’ve seen “Crude”, you know how much damage oil companies can do to Ecuador’s water and soil. With the film’s focus on the attempt of peasants to sue Texaco and Chevron’s for damages, it is not difficult to imagine that Indians would have the same kind of grievances even if the government was part of the Bolivarian revolutionary movement and that oil drilling in Indian country was being done in partnership with a Chinese oil company. That is, unless you were Stansfield Smith. With a title like “Propaganda as ‘News’: Ecuador Sells Out Indigenous Tribes and the Environment to China”, you pretty much know what to expect. Whatever the question (Syria, Ukraine, Tibet, Xinjiang), you trawl the Internet for any links between some protest movement and the NED, the CIA or some Soros-funded NGO and that’s all you need to know. Case closed. Essentially this is the same kind of clash in Ecuador today. And, for comparison, the Alberta tar sands oil fields are 1,500 times the size of the small area Ecuador opened up for oil exploration in the Yasuni. In comparison, too, last May Obama approved oil drilling in the Artic Sea, where 20 billion barrels of oil and 90 trillion cubic feet of natural gas are now more available due to the melting of Arctic ice sheets. I am not exactly sure how much drilling there will be in Yasuni National Park once the extractive juggernaut gets a full head of steam but it is bigger than the state of Connecticut. This does not even speak to the damage that will be done to a priceless natural habitat that Correa pledged to preserve after becoming president. To wrap up his case against the indigenous peoples, Smith draws a contrast between their “corporate-backed funders” such as the Charles Stewart Mott Foundation and China, which “provides loans at low interest rates, does not intervene in the internal affairs of other countries, respects other countries’ paths of economic and political development, and encourages South-South cooperation as a counter to Western hegemony.” I got a chuckle out of this since the organization I was involved with in the 1980s that trained Nicaraguans how to use high technology tried to get some donations from Mott. The executive director Michael Urmann, who died in 2012, told me about after going up to see Mott in his penthouse he was forced to listen to this knucklehead lecture him about world politics for an hour. That was bad enough but when no money came out of the visit, he was fit to be tied. Our attitude toward Mott, the Ford Foundation or any of a number of liberal charities was if they gave us money, it was their contradiction, not ours. Since both of us were sixties radicals (he was a Maoist), that is the way we looked at it. I have no idea what Smith was doing in the sixties but his inability to think in these terms suggests not very much. But in terms of Smith’s ebullient description of Chinese beneficence, inquiring minds would naturally have to look a bit closer at the economic data to determine whether China is interested in helping the poor, especially since strikes and protests there set records in 2015. Worker militancy has led to increased wages in recent years, hence leading to a devaluation of the yuan to make Chinese exports competitive with other Asian countries that pay even lower wages. All this has consequences for Ecuador. With a devalued yuan, which Ecuador uses, exports to China produce less revenue. When you take into account that the price of its main export—oil—has dropped precipitously in the last year or so, the consequences are drastic. Less money is available for social spending, the cornerstone of the oil-lubricated Bolivarian revolution. There is also the pain of increased prices on imported goods, including food and medicine. In other words, Ecuador is going through the same painful adjustment as other export-dependent Latin American countries and there is little that China or any other BRICS country can do to alleviate matters. We are dealing with a general crisis of capitalism, something that seems to escape the ideological framework of the Chessinturn. They have a classless notion of “development” that posits alignment with the BRICS as a kind of magic elixir that will vanquish poverty. Someone should remind these people that capitalism is a crisis-ridden system that has long outlived its usefulness even when it is practiced by someone who gave Julian Assange safe haven. We are for giving him safe haven but we are also for giving Ecuador’s Indians safe haven. Finally, let me recommend what is probably the best left critique of Rafael Correa, an article by Marc Becker that appeared in the September-October 2009 Against the Current. Just to establish Becker’s bona fides, he is a major Mariategui scholar and considered to be a rock solid anti-imperialist. He even had the audacity to write an article putting the Shining Path in a relatively good light. Despite Correa’s attempts to mimic Chávez’s strategies, his policies are not nearly as radical as those of his counterpart. Of the many lefts that now rule over Latin America, Correa represents a moderate and ambiguous position closer to that of Lula in Brazil or the Concertación in Chile rather than Chávez’s radical populism in Venezuela or Morales’ Indigenous socialism in Bolivia. The danger for popular movements is a populist threat with Correa exploiting the language of the left but fundamentally ruling from the right. It is in this context that a mobilized and engaged social movement, which historically in the Ecuadorian case means an Indigenous movement, remains important as a check on a personalistic and populist government. If Correa follows through on any of the hopeful promises of his government, it will be due to this pressure from below and to the left. Correa continues to enjoy an unusually large amount of popular support in a region which recently has greeted its presidents with a high degree of good will only to have the populace quickly turn on its leaders who inevitably rule against their class interests. Chávez (and, to a certain extent, Evo Morales in Bolivia) have bucked this trend by retaining strong popular support despite oligarchical attempts to undermine their governments. Correa is a charismatic leader, but in the Ecuadorian setting charisma does not secure longevity. José María Velasco Ibarra, Ecuador’s classic caudillo and populist, was president five times, but was removed from four of those when he failed to follow through on his promises to the poor. In recent history, Abdalá Bucaram was perhaps the most charismatic leader, but he lasted only seven months in power after winning the 1996 elections. Charisma alone does not assure political stability. In the wake of Ecuador quickly running through ten chief executives in 10 years, Correa appears positioned to remain in power for 10 years if he can maintain his current coalition to win reelection in 2013. Correa has also said that it will take 80 years for his “citizens’ revolution” to change the country. In quickly moving Ecuador from being one of Latin America’s most unstable countries to maintaining a strong hold over executive power, Correa appears to have been able to mimic Chávez’s governing style. Whose interests this power serves, and particularly whether it will be used to improve the lives of historically marginalized subalterns, remains an open question. Needless to say, the drop in the price of oil since 2009, when this article was written, renders the question of enjoying an “unusually large amount of popular support” rather moot.